The warm Macassar against the silvered steel of the frame illustrates Ruhlmann's skill as a creator of controlled luxury. 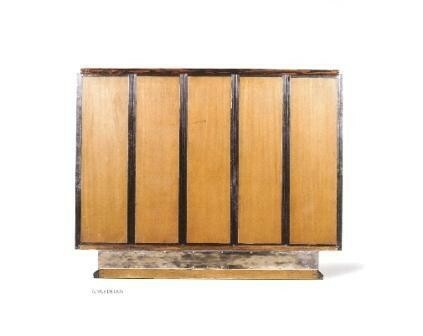 The metal and the wood combination also modernized the shape of the bookcase. The structure is not hidden but becomes a fundamental part of the decorative scheme.